Find out how 50-year old science is hurting your heart. Every 39 Seconds, One Person in the U.S. Dies of Cardiovascular Disease. For the last half century, the medical establishment has vigorously promoted the notion that high cholesterol is a primary risk factor for coronary heart disease, and that a diet high in saturated fat and cholesterol causes heart disease, despite the overwhelming body of evidence that suggests otherwise. Learn the Truth About A “Heart Healthy” Approach to Diet and Lifestyle. Eating cholesterol isn’t going to give you a heart attack. Ditch the egg-white omelets and start eating yolks again. Saturated fat is not the enemy everyone believes it to be. Low-carbohydrate diets (which tend to be high in saturated fat) not only don’t raise blood cholesterol, they have several beneficial impacts on cardiovascular disease risk markers. Ben Franklin said, “An ounce of prevention is worth a pound of cure.” Heart disease is no exception. While taking action now does not guarantee that you’ll never get heart disease (as age is perhaps the strongest risk factor), it does vastly improve your chances of avoiding it or at least delaying it significantly. 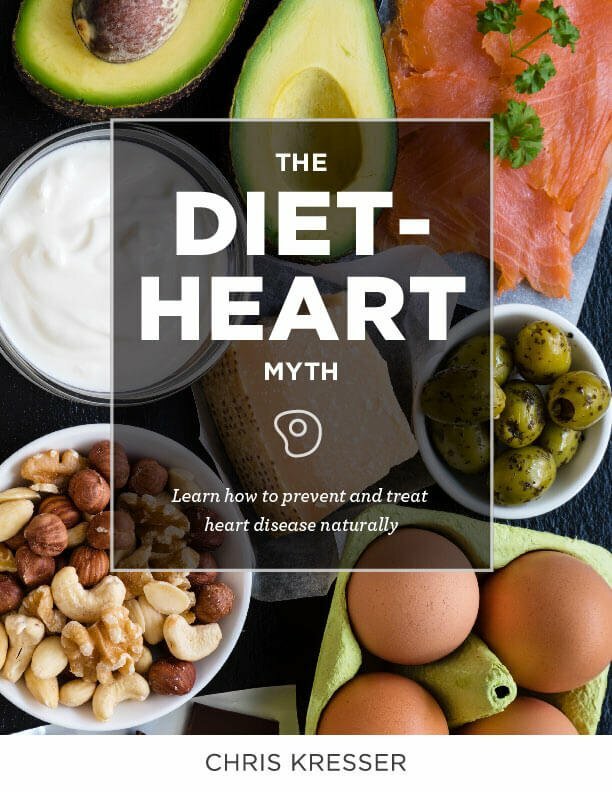 Enter your email address below to download this free eBook on the Diet-Heart Myth now.